PCD Pharma Franchise for Antiepileptic Medicines- Biofield is one of the top Pharmaceutical Company in India for antiepileptic medicines. They are the manufacturer and supplier of antiepileptic medicines. The company provides PCD Pharma Franchise to hardworking, skilled and dynamic professionals. The company gives the monopoly-based business opportunity to their associates in various parts of the country. If you are looking to associate for PCD pharma franchise for antiepileptic medicines and drugs in India then our company offers monopoly rights across all the places near you. Antiepileptic drugs have a good demand in India. Biofield Pharma invites you to be part of PCD Pharma Franchise for Antiepileptic Medicines. Our range of antiseizure includes tablets, injectables, medicines, capsules, and pills etc. All the products are made using best quality constituents. One can trust our quality services for marketing process and manufacturing. Our company is happy to offer you DCGI approved drugs that are fully produced in modern GMP & WHO units. They are fully owned and controlled under expert care for better drug solutions. To know more details call us at +91-9216300566 or email us at info@biofieldpharma.com for details. Antiepileptic Drugs are also called AntieSeizure drugs and AntieConvulsants drugs. These drugs are used to treat symptoms related to epilepsy, neurological disorder and its related symptoms. Epilepsy is a chronic disease which is associated with serious brain disorders. The demand for these drugs has been increased now. There are millions of epilepsy patients in India. This gives you a chance to build a stronger consumer base. For epilepsy treatment medicines are used for long-term therapy and treatment. Therefore a Pharma Franchise in antiepileptic medicines helps in achieving better control over long-term customer benefits. The antiepileptic drug is increasing across India and investment in it will help you generate income out of it. Business is very genuine and flexible to all kind of your needs. Joining hands with the best PCD Pharma Franchise Company in India as Biofield Pharma provides you with a vast range of antiepileptic medicines and other benefits like Promotional support, Monopoly rights and marketing updates etc. Biofield Pharma Company is the best Pharma suppliers, manufacturers, and exporters of antiepileptic medicines in India. The products are made using the best drug compositions and extracts from reputed resources in the market. The company is certified under GMP and Who. The whole process of antiepileptic medicines take place under WHO and GMP verified units. Biofield company is also engaged in Third Party Manufacturing of antiseizure medicines. Quality Assurance from all the products. Timely Delivery of all products. Best and attractive packaging of products. The environment is sterilized that helps create safe, effective and pure medicines. The company follows the quality standard of manufacturing that makes sure that you are getting qualitative antiepileptic drug solutions. Effective and attracting packaging of products. Why Choose Biofield PCD Pharma Franchise for Antiepileptic Medicines? 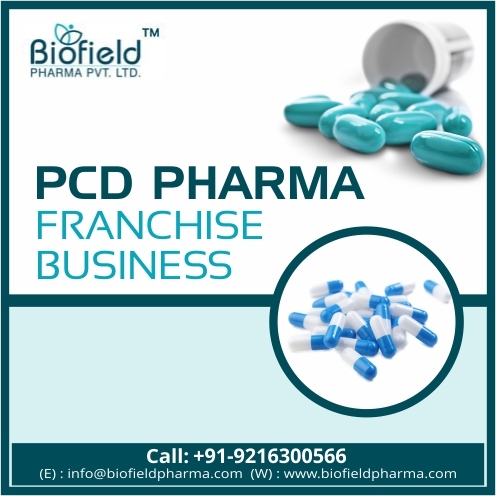 Biofield Pharma provides its PCD Pharma Franchise to all the wholesalers, retailers, pharmaceuticals, agents etc. Our Company gives you genuine plans, you can choose to be a part of a growing pharmaceutical company. The company is WHO and GMP certified. Biofield updates its product regularly. The company builds a sustainable and strong business relationship with their associates.